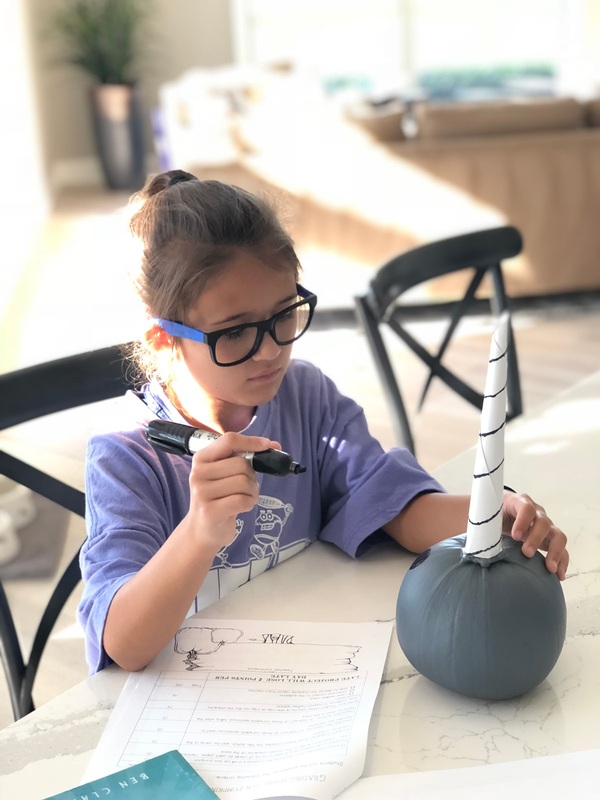 Vernon Volumes: Paige's Pumpkin Project - Narwhal! Paige's Pumpkin Project - Narwhal! Paige had a school assignment this month, and we got it done this past weekend. 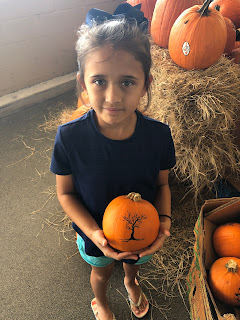 She was required to transform a pumpkin in to a character from a book of her choosing. We went shopping for a pumpkin of the right size, then we got all our materials together and did our magic. We setup a box in the back yard and Paige blasted the pumpkin with some grey spraypaint/primer. It was hard for her to push down on the spraypaint button, but she powered through it and did most of the painting herself. Once we got the pumpkin painted, we used a rolled up paper as the Narwhal horn, then Paige colored in the character's face. Finally, the hardest part. 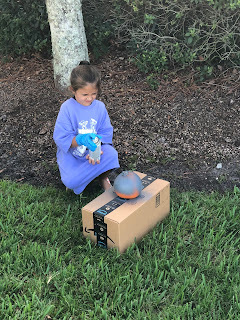 We tried a few ways to make the fins, but finally settled on gluing some picture hanger steel wire inside of cardboard, painting it, then sticking the wire in to the pumpkin. We did it, success! Paige was very happy with her pumpkin, and we had fun putting it all together. Our Kid of Character - PAIGE!